Why see a Clinical Neuropsychologist? The Psychology Board of Australia (PBA) defines Clinical Neuropsychologists as those that specialise in the assessment, diagnosis and treatment of psychological disorders associated with conditions affecting the brain. Those that have the relevant training and expertise to conduct neuropsychological assessments and interventions are provided with a "Clinical Neuropsychology Practice Endorsement" by the PBA. Clinical Neuropsychologists can help clients and family members / carers better understand complaints and/or conditions of a neuropsychological nature and tailor interventions to optimise functioning. What training does a Clinical Neuropsychologist have? In Australia, the specialised training for Clinical Neuropsychologists requires a minimum two year postgraduate Masters or three year Doctoral degree in Clinical Neuropsychology, which includes up to 1500 hours of clinical supervision experience under the mentoring of senior Clinical Neuropsychologists. To achieve the Clinical Neuropsychology Practice Endorsement, a further 1-2 years full-time equivalent neuropsychological practice with supervision by a Clinical Neuropsychologist is required. What is the difference between a Clinical Psychologist and Clinical Neuropsychologist? There are no requirements for Clinical Psychologists to receive training in conducting evidence-based neuropsychological assessments and interventions under the supervision of experienced Clinical Neuropsychologists. Although some Clinical Psychologists without the Clinical Neuropsychology Endorsement may conduct cognitive or neuropsychological assessments, the specialty of a Clinical Psychologist is rooted in the assessment, diagnosis and treatment of more general psychological problems and mental illness. Similarly, other Psychologists do not have the extensive training that Clinical Neuropsychologists have in understanding brain-based conditions. Only 1.3% of Australian registered psychologists have the Clinical Neuropsychology Practice Endorsement. 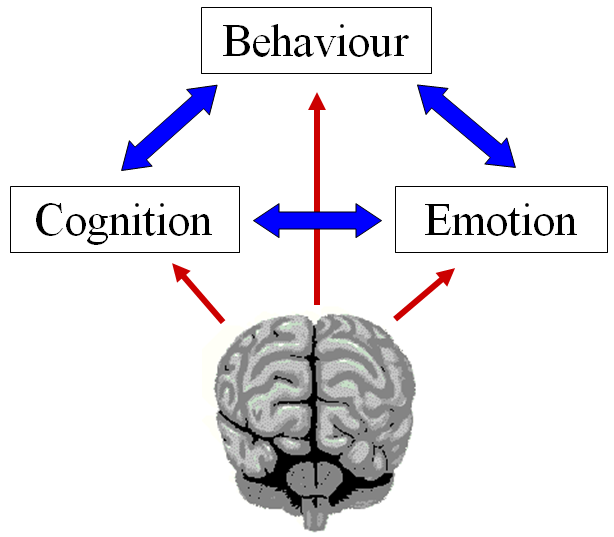 Modern psychology is founded upon an understanding of the ways that thinking (cognition), emotion and behaviour influence each other (blue arrows). Breakdowns or anomalies in any of these domains can give rise to mental health problems and Clinical Psychologists primarily work at addressing such imbalances or anomalies. Clinical Neuropsychologists are more expert at understanding the direct effects of brain dysfunction on these domains (red arrows), as well as the possible resultant changes this may cause between cognition, behaviour and emotion (blue arrows). All ANTS consultants have or are working towards a Clinical Neuropsychology Practice Endorsement under the supervision of senior ANTS consultants that have 55+ years combined experience as Clinical Neuropsychologists.